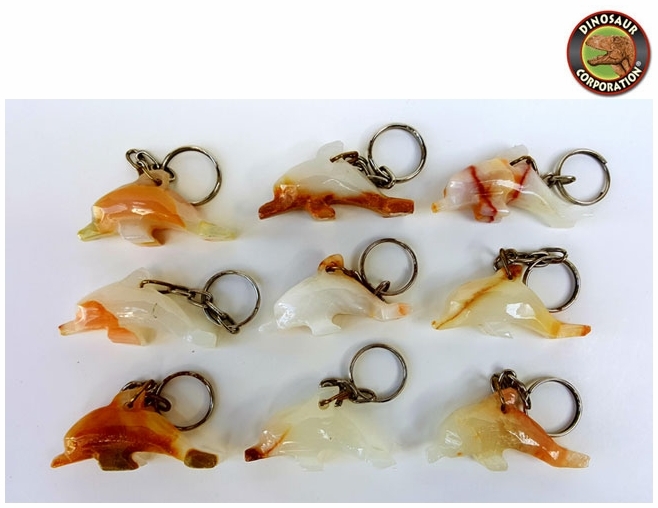 Dolphin figure keychain is hand carved from gemstone-Jasper. 1.75 inch. Dolphin figure made of gemstone Jasper is a stone of physical strength and energy, Jasper stimulates gently and steadily, enhancing stamina and endurance, and increasing the amount of chi, or life force, in one's aura. It is a stone of health and passion, and brings the courage to face unpleasant tasks and to rectify unjust situations. * Sold individually, price per 1 pc.